More than 45 years of performing experience. GT Little, Jr. is a rare combination of avid music enthusiast, experienced professional and university educated music scholar, whose range is virtually limitless. Born and raised in Maryland, GT studied piano at Peabody Preparatory as a child and later graduated from Towson State University with an M.F.A. in Composition. He has worked in the various facets of the music industry from performing in bands (Pop/Rock, Jazz, R&B, Prog Rock/Fusion and Theatrical) to producing live shows (concert and theatrical) and producing and/or engineering studio recordings for a variety of genres and formats (Film Scores, TV Themes, Commercials, Sound Design, Jingles and Sales/Training Videos/DVDs). Just a few of the clients benefiting from GT's artistic composition and production work in film and TV are Maryland Public Television, WJZ-TV, Jeff Eline Films, and Steve Yeager Films. In music production, Moon August, The Virginia Union University Concert Choir and, songwriter, Marty Padden have had great success under his guidance. 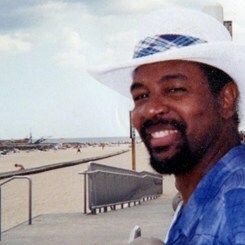 GT worked as a Dance Accompanist and Theory Instructor for 17 years at the prestigious Baltimore School for the Arts. During that period, Alvin Ailey Dance Theatre, Dance Theatre of Harlem Sylvester Campbell and numerous choreographers and dance instructors raved about his sensitivity and skill as a composer and accompanist. Among the advertising agencies and marketing firms who have also utilized him as an invaluable production resource are American Ingenuity, The Norton Agency, and The Marron Corporation. GT Little, Jr. is a very talented composer/producer, instructor and recording engineer with over 20 years experience teaching piano, theory and music production, specializing in pop and jazz. Request Lessons with G T Little today!